Starchy, sweet and succulent green peas or garden peas are one of the ancient cultivated vegetable grown for their nutritious green pods. 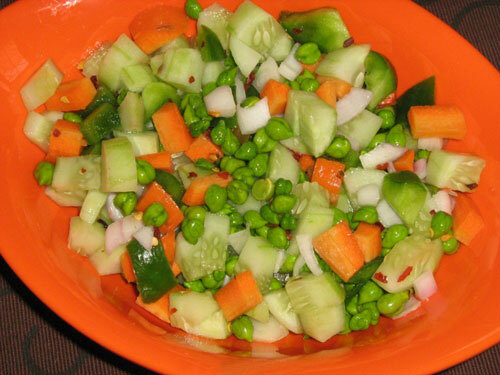 Peas are probably originated in the sub-Himalayan plains of north-west India. Now, they are one of larger commercial crops grown all over the temperate and semi-tropical regions. Botanically, pea plant is a herbaceous vine. It belongs to the family of Fabaceae of the genus, Pisum. Scientific name: Pisum sativum. Some of common names include english peas, sweet peas, garden peas, pease...etc. Pea is a very rapid-growing annual plant requires trellis as support for growth. It flourishes well in well drained sandy soil with adequate moisture and cool weather conditions. Short stalked green pods which appear during late winter or spring. The pods measure about 2-3 inches long, swollen or compressed, straight or slightly curved, filled with single row of 2-10 light green color smooth edible seeds. Pea tendrils are also edible. They are tender top shoots of young pea plants, have similar pea taste and favored in cooking as well in salads. Snow peas or sugar snap peas are different species of peas where the whole immature green pods are eaten. Peas are one of the most nutritious leguminous vegetable, rich in health benefiting phyto-nutrients, minerals, vitamins and anti-oxidants. Peas are relatively low in calories when compared with beans, and cowpeas. 100 g of green peas provide only 81 calories, contain good amount of soluble and insoluble fiber but contains no cholesterol. Fresh pea pods are excellent source of folic acid. 100 g provides 65 mcg or 16% of recommended daily levels of folates. Folates are B-complex vitamins required for DNA synthesis inside the cell. Well established research studies suggest that adequate folate rich foods in expectant mothers would help prevent neural tube defects in the newborn babies. Fresh green peas are very good in ascorbic acid (vitamin C). Contain 40 mcg/100 g or 67% of daily requirement of vitamin C. Vitamin C is a powerful natural water-soluble anti-oxidant. Vegetables rich in this vitamin helps body develop resistance against infectious agents and scavenge harmful, pro-inflammatory free radicals from the body. Peas contain phytosterols especially ß-sitosterol. Studies suggest that vegetables like legumes, fruits and cereals rich in plant sterols help lower cholesterol levels in the body. Garden peas are also good in vitamin K. 100 g of fresh leaves contain about 24.8 mcg or about 21% of daily requirement of vitamin K-1 (phylloquinone). Vitamin K has found to have potential role in bone mass building function by promoting osteo-trophic activity in the bone. It also has established role in Alzheimer's disease patients by limiting neuronal damage in the brain. Fresh green peas also contain adequate amounts of anti-oxidants flavonoids such as carotenes, lutein and zeaxanthin as well as vitamin-A (provide 765 IU or 25.5% of RDA per 100 g). Vitamin A is essential nutrient which is required for maintaining healthy mucus membranes and skin and is also essential for vision. Consumption of natural fruits rich in flavonoids helps to protect from lung and oral cavity cancers. In addition to folates, peas are also good in many other essential B-complex vitamins such as pantothenic acid, niacin, thiamin, and pyridoxine. 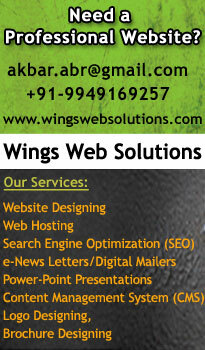 Furthermore, they are rich source of many minerals such as calcium, iron, copper, zinc and manganese. Green peas are winter crops. 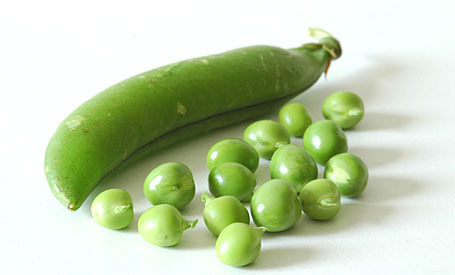 Fresh green peas are readily available from December till April. However dry seeds or products of seeds like split peas, flour...are made available in the markets all around the year. While shopping for green peas look for fresh pods that are full, heavy in hands and brimming with seeds. Avoid those with wrinkled surface or over-matured, yellow colored pods. Peas are best eaten immediately after their harvest since the sugar content in the seeds rapidly converted in to starch. If you have to store at all, then place them inside the vegetable compartment of home refrigerator set with high relative humidity where they keep fresh for 2-3 days. A few mint leaves chopped. Salt, pepper and lemon juice to taste. Boil the carrots and peas with water on medium / low heat for about 5 minutes or till they are cooked but firm. Cool. Garnish with finely chopped fresh coriander / parsley.